This week a new iPhone was rolled out, without a headphone jack, with a more powerful camera, waterproofed, and the blackest black. Nothing that really changes the world, but just imagine how the next version could do just that: make the world a better place. 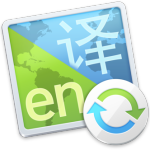 A way for friends to translate apps for their non-English speaking friends. It’s not difficult to understand why non-English speaking people don’t buy iPhones: 64% of the apps are single language, and 15% have two languages. Although the iPhone supports between 33 and 42 languages (Is Canadian English really so different from U.K. English? ), only 7.2% of apps support more than 9 languages. Tim Cook, want to see what the world looks like when the main Apple apps are not in your native language? Switch your iPhone to an orphan language, like Thai, for a day. Love to hear your experience. But it’s not only Thai speakers who can’t access apps over the iPhone. Given the large Spanish-speaking population in the U.S. and given the way most major companies provide both Spanish and English speakers for customer support, why isn’t Apple letting users add Spanish into the apps their Spanish-only friends want to use? Here’s what Apple could do to promote multilingual apps. Require apps to include more than just English in order to be added into the App Store. The App Store could grant multilingual apps additional screen shots or more words in their description. Weighted search results, so apps get sorted by the number of languages they include, which would put English-only app on the last page of search results. Any of these measures would open up a new world of apps for people who speak an orphan language. Developers – as well as their customers – stand to benefit from the revenue benefits one could derive by including non-English speaking users. Apple can make this happen by providing incentives for all apps to be multilingual and by making adding languages less time consuming for the developers. Not only would revenues increase for app developers, they’d increase for Apple as well. So, Tim, what’s to lose? Let’s hablo español and get the option for users to add Spanish app localizations for their friends on the next version of the iPhone.